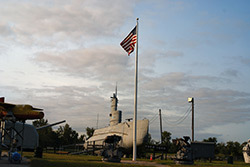 SUBMARINEMUSEUMS.ORG - Promoting and uniting submarine museums across the USA! Mission Statement: "To unite all submarine museum authors, curators, docents, enthusiasts, historians, librarians, visitors, and volunteers through positive promotion and cooperative education in order to perpetuate the American submarine museums of our forefathers." Welcome! 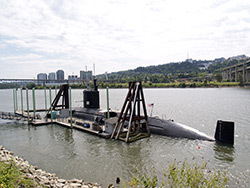 Did you know that there are currently twenty-five different museum submarines in the United States that you can get in and explore? Most are decommissioned, retired submarines, saved from being scrapped after being deemed as unfit for further military service to the Navy. Many of them saw action during World War II or played a role in the Cold War and/or Vietnam. 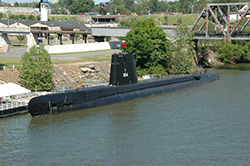 Some were used for training, experimenting, or research for the development of today's submarine force. There are even a couple of Russian submarines and a WWII-era German U-Boat! I hope that with the help of this website that you'll visit one or some of the many submarine museums that may be located near you. 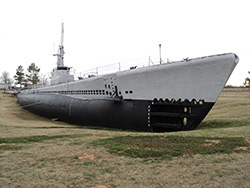 Please click on the "Map" link above to see a Google map with the locations of all of the museum submarines listed on this website. You will also be able to find driving directions with the use of that map. 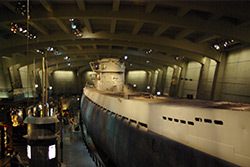 Each museum submarine is unique in her own way. Many hold some various record, some were used in movies, and a few have rare operational, functioning equipment. All of them have a following of hard-working volunteers that keep them going. This site also has a forum that I hope you'll take part in. The forum is here for visitors to ask questions and learn about the different submarines. It is also here for all those who work and volunteer on the submarine museums to share ideas, talk about fund raising efforts, find restoration advice, promote special events, etc. Below, you'll see a table listing the submarine name, the class of the submarine, the date it was launched (first put into the water), its official website where you can find specific museum or park information, its Historic Naval Ships Association (HNSA) webpage that details the history of the submarine with pictures, its Wikipedia webpage listing, where to find out more about it on Facebook®, and the city and state of the submarine's current home. 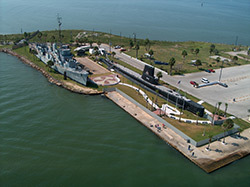 Detailed addresses for the parks/museums can be found by looking at the official website for the submarine or by checking out the forum here. These are the submarines in your neighborhood! Find one near you and go visit it with your friends and family. 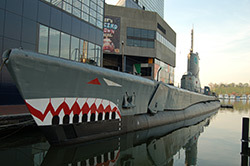 All of these museum submarines are open for you get down inside and explore. Nineteen are still in the water while six (Albacore, Batfish, Cavalla, Drum, Marlin, and U-505) are secured on dry land. It is truely an amazing experience to tour any submarine museum! Also, there is more to the submarine museums than just submarines. 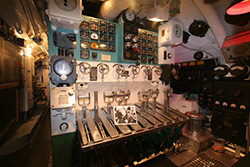 Many have exhibits of torpedoes, mines, and ships (targets) to see while you're there. "They weren't just hull numbers, they were our home addresses. Now the old neighborhood is torn down and gone and all that is left are memories." Was used to film exterior scenes for the movie Below in 2002. 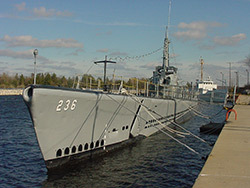 Launched on the first anniversary of the Pearl Harbor attack, hence being called "The Pearl Harbor Avenger"
Sank a record 3 Japanese submarines over a period of four days, hence nicknamed "Submarine Killer"
Nicknamed the "Galloping Ghost of the Japanese Coast"
Also known as "Black Widow" and "Cobra"
SUBMARINEMUSEUMS.ORG forum member and amateur radio enthusiast Bill Chaikin (username "KA8VIT") was kind enough to share his videos of the USS Cod in Cleveland, OH. 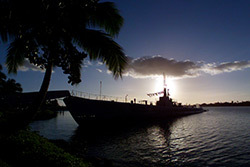 Visit KA8VIT's USS Cod Videos page to see some great video footage, even a 25 minute video tour of the entire boat! 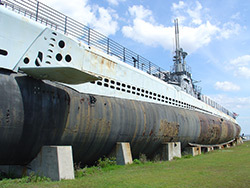 The videos will give you an idea of what all you can see by visiting a submarine museum. The "Restoration Supporter - Preserving Our Heritage" patch you see to your left was originally designed by Lockwood Internet Base, USSVI, members and was sold to support a specific submarine museum boat as chosen annually by Lockwood Internet Base. While Lockwood Internet Base is no more, you can still purchase the patch from SubmarineShop.com to show your support for museum submarines.